Hanshi Bernard Dojo Kobudo Seminar. The INTERNATIONAL KARATE KOBUDO FEDERATION held a KOBUDO SEMINAR at the Dojo of Hanshi Richard Bernard in Londonderry, NH on April 7, 2013. 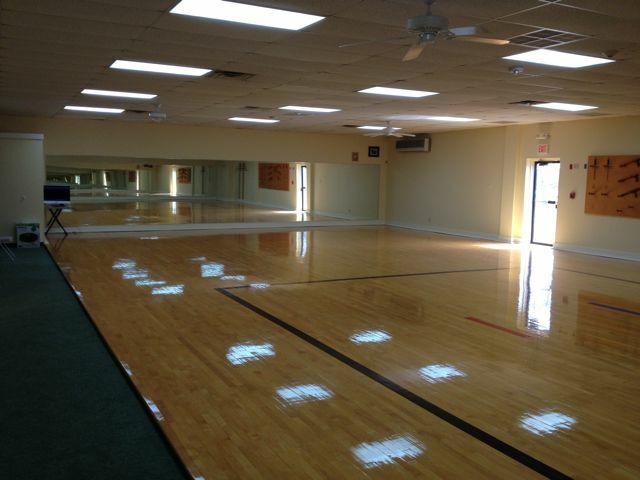 Photo of the Bernard Dojo's main training floor. 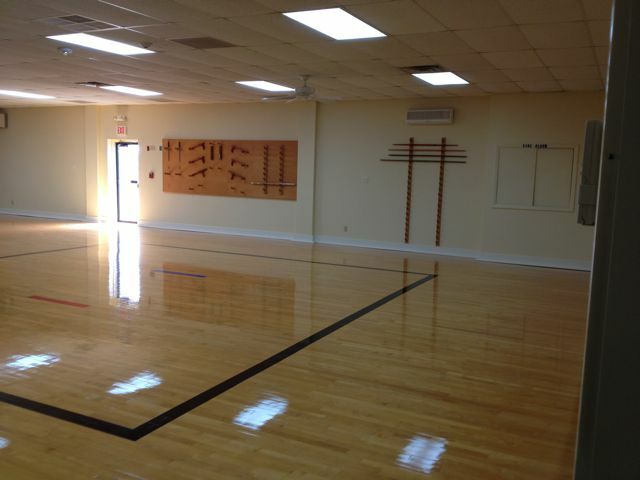 Another photo of main training area of Bernard Dojo. Entrance area and main office at Bernard Dojo. 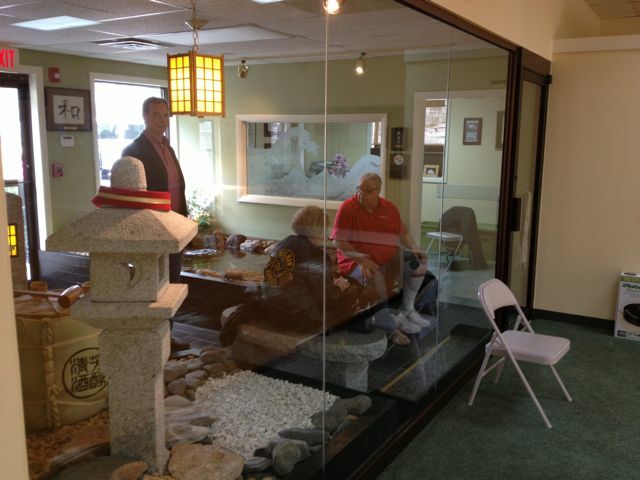 In photo are Kyoshi Dan Rupert, Kyoshi Ann-Marie Heilman and Hanshi Ron Martin. 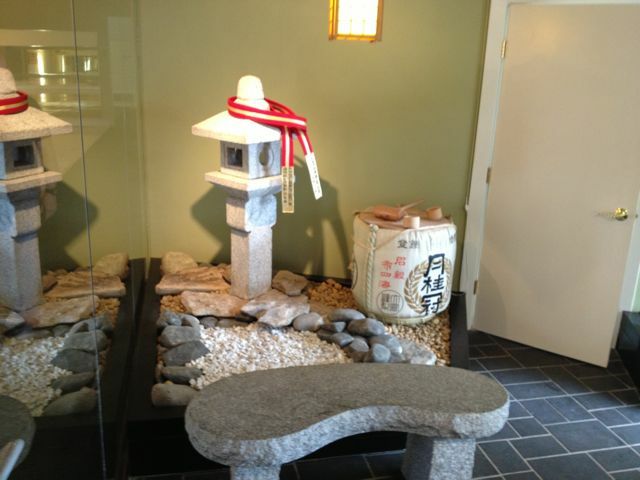 Beautiful seating area in entrance area of Bernard Dojo. 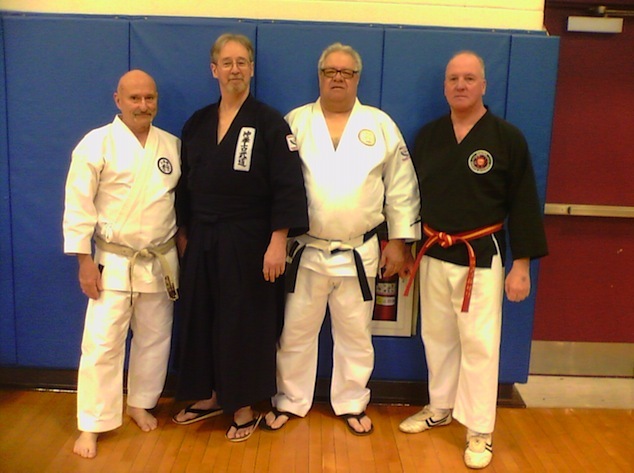 Photo of Hanshi's at Hanshi Bernard's tournament in Londonderry, NH. From left to right: Richard Bernard, C. Bruce Heilman, Ron Martin and Peter Porter. Party time after tournament saturday evening. 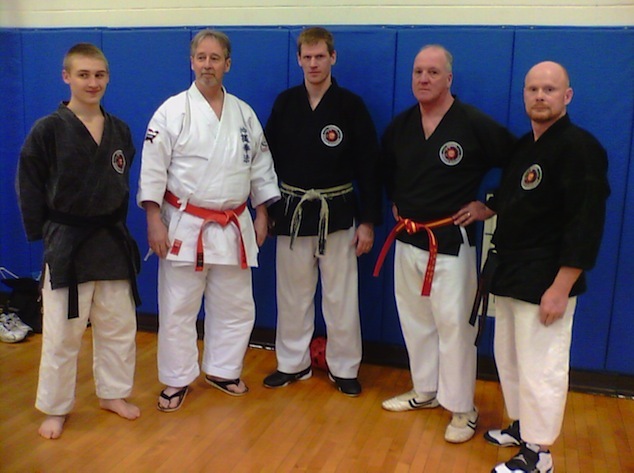 Hanshi Heilman with Hanshi Porter and some of his students at tournament. 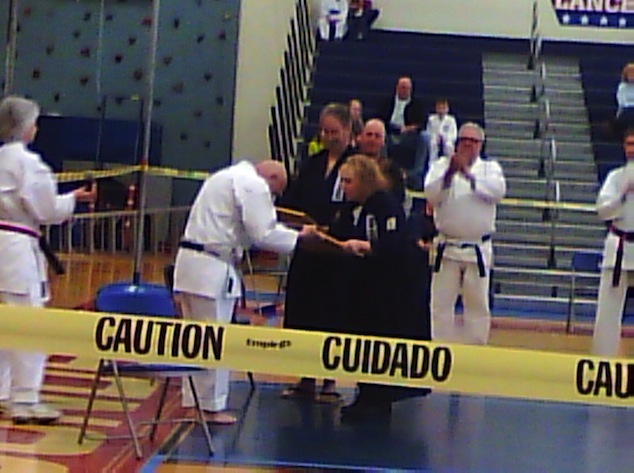 Hanshi and Kyoshi Heilman receiving Special Recognition Certificates from Hanshi Bernard at tournament.